This casserole is certainly easy to prepare as well as just good old comfort food. Your family will not be disappointed. Preheat oven to 400°. 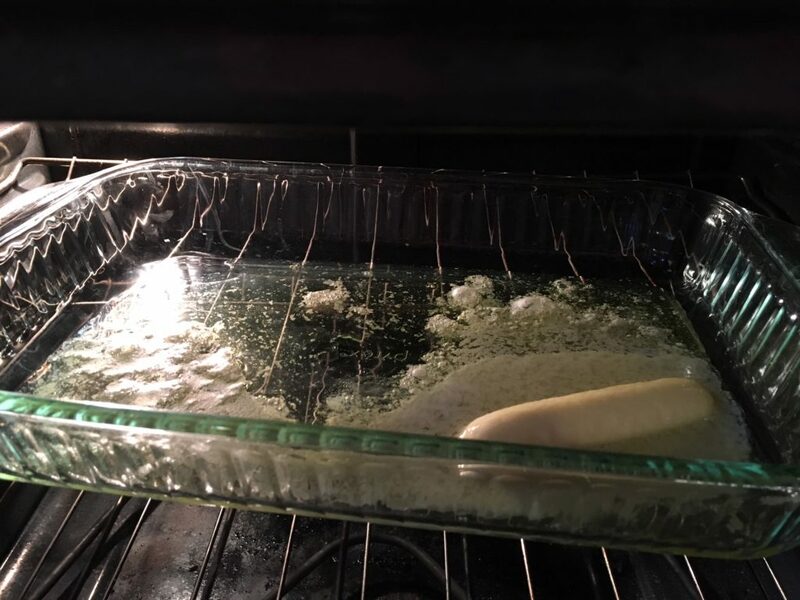 Put 1 stick of butter in a 13x9x2inch baking dish. Place in the oven while it is preheating until the butter has melted in the dish. While butter is melting in the oven, combine mushroom soup, water and milk together in a small bowl and whisk together until combined. Take baking dish out of oven once the butter is melted and pour the soup mixture over the butter and whisk to combine. Add 1 cup of rice and stir to evenly distribute the rice in the dish. Lay pork chop cutlets evenly over the top of the mixture. Pork chops will likely sink into the liquid, and that is preferred. It keeps the meat moist as it cooks. Pepper the whole top of the dish to taste. 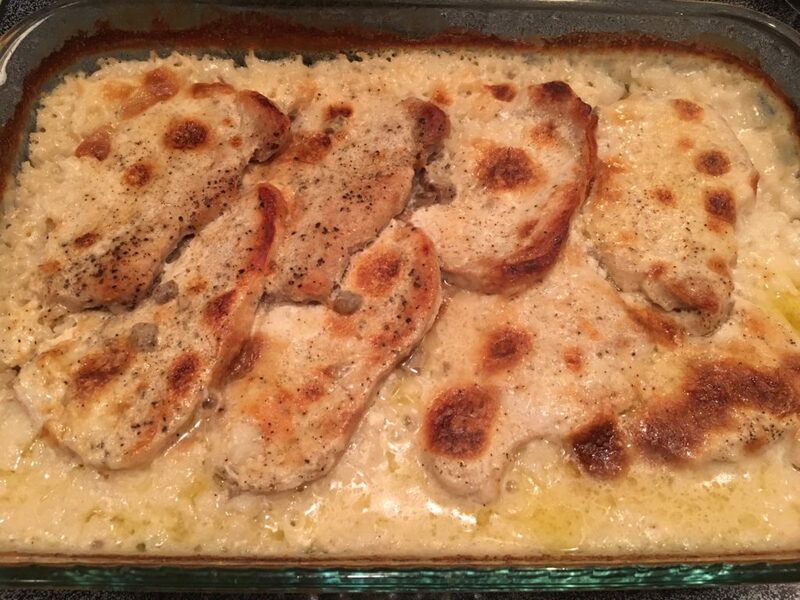 Bake at 400° for 45 minutes, and then check on the casserole. If the top is getting brown, cover very loosely with foil to prevent further browning. Cook for another 15 minutes or until rice is fully cooked and most of the liquid absorbed. 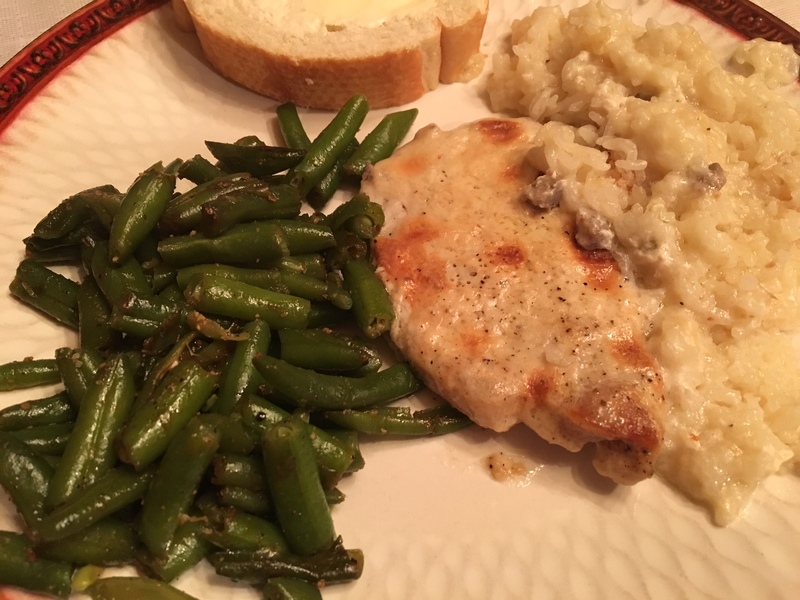 Another variation of this dish is to do exactly the same thing, but with chicken breasts and cream of chicken soup. It is super yummy as well. Preheat oven to 400°. Put 1 stick of butter in a 13x9x2inch baking dish. Place in the oven while it is preheating until the butter has melted in the dish. While butter is melting in the oven, combine mushroom soup, water and milk together in a small bowl and whisk together until combined. 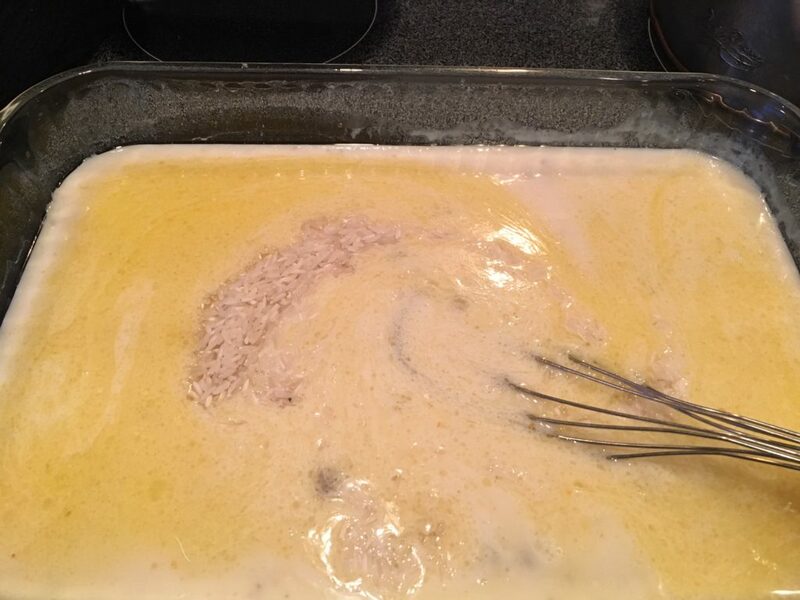 Take baking dish out of oven once the butter is melted and pour the soup mixture over the butter and whisk to combine. Add 1 cup of rice and stir to evenly distribute the rice in the dish. Lay pork chop cutlets evenly over the top of the mixture. Pork chops will likely sink into the liquid, and that is preferred. It keeps the meat moist as it cooks. Pepper the whole top of the dish to taste. Bake at 400° for 45 minutes, and then check on the casserole. If the top is getting brown, cover very loosely with foil to prevent further browning. Cook for another 15 minutes or until rice is fully cooked and most of the liquid absorbed.